The Broggers’ are Victoria, TX area natives. They are a family of heroes. David Brogger was with the Victoria police department for over 12 years, holding several positions, including Patrol, Field Training Officer, Traffic Safety Unit, Recruiter and Negotiator with Victoria Police Department SWAT Team. Back in 2016, KIXS-FM 108 honored Officer David Brogger with a nice write up about his service with the VPO. His wife, Ann, is also a Victoria area hero. She’s a high school guidance counselor, serving the students of the community. They have two incredible daughters named Eve and Lila. 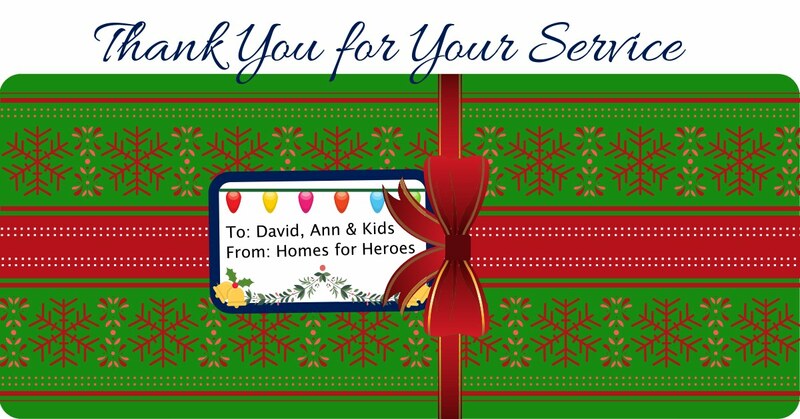 Homes for Heroes takes time each holiday season, with the assistance of their affiliate real estate and mortgage specialists, to present special Christmas gifts to twelve American hero families during their Twelve Days of Christmas Miracles tradition, leading up to Christmas Eve. This year real estate specialist, Kathryn Stone, was selected and worked with other local businesses to bring together a wonderful Christmas gift package for the Brogger family. David, Ann and their kids have faced tough challenges. When Eve was five years old she was diagnosed with ovarian cancer and hospitalized at Texas Children’s Hospital. This was a devastating blow for the family and put a lot of stress on everyone. But, they fought hard and Eve won the battle against cancer! Seven years later, the Brogger family is reliving the nightmare of cancer. David was diagnosed with a very aggressive form of cancer called, Mantel Cell Lymphoma, and it’s Stage 4. David was the primary household income contributor for the family. Since David’s diagnosis, the family has made big lifestyle changes because David is no longer able to work. The family loves Christmas and enjoys celebrating the holiday every year. David and Ann will deliver their traditions this year, and make it a special Christmas for their two daughters. But this year, they will get gifts from others in the community they serve to make Christmas 2018 a bit special. Thank you to all who made this Christmas gift possible. To David and Ann, we all thank you for your service. Happy Holidays and Merry Christmas to you both, Eve and Lila from all of us at Homes for Heroes.